Incidents in Trimdon - Burglary, Car Crime, Fire, Accidents etc. Home ⌂→Incidents in Trimdon – Burglary, Car Crime, Fire, Accidents etc. Incidents in Trimdon – Burglary, Car Crime, Fire, Accidents etc. Please use the form at the bottom of the page to record a quick note of any crime, vandalism or other incidents happening in and around Trimdon. Many minor – sometimes major – incidents are never reported in the local papers or anywhere else. This leaves residents unaware of what may be happening on their doorstep. Being forewarned may prompt people to take extra care where needed. No names or contact details are required, it’s entirely your choice whether you add them. Choose ‘Add a new message’ or to respond to an existing report, click ‘Reply’ at the bottom of that message. 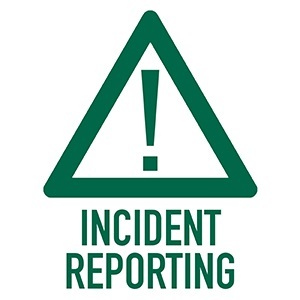 Information is not passed on to anyone else – if you decide to report an incident to Police please use the links below or dial 101. Very positive news on the multy agency walkabout for the station on Friday, involving police, home group, council etc. Particular attention given to utter disgrace most of the properties are in, mainly the residents but home group jointly. Let’s see what changes are made hopefully for the better. Like the houses that have been boarded up for over a year? Like the houses east East Durham homes are trying to sell off that keep having windows smashed out? Like the houses with scum who are chucking their old tat in the roads and dead rabbits in people’s recycle bins? Get rid of the culprits and we will have a community again. Agreed. I hope there’s a good clean out. You must complain to both housing associations. Everyday if you have to. Takes a long time to get thieves to court – this since 2014???? Lets hope his soliciter gets someone like him living next door, won’t be so quick to defend scum then. He’s been sent down 4 years. 1 more to go and then the rest of the scum family. My nieces cat was ripped to bits in their front garden last night in front of her kids! Car drove past, saw her cat Lilly in the garden, stopped, shoved the dogs out & set them onto the cat. Lilly was savagely attacked to the point where her insides were no longer inside of her. My sister and her children witnessed this! When my sister ran into the garden the car (which had driven off down the lines) then re-appeared and whistled for the dogs to go back. Cat is dead, ripped to bits and is in the front garden waiting for the police to come! Apparently they were coming straight out last night but never showed!! Dogs were a sandy coloured saluki type & black & brown whippet type, car was silver possibly Passat, Mondeo size. A MAN has been arrested following an armed operation in County Durham. Police confirmed officers were deployed to a number of addresses in the Trimdon area at about 6.30pm on Sunday. A police spokesperson said it was “part of a pre-planned arrest of a suspect who was wanted for multiple offences and was thought to be in possession of a firearm”. The man was subsequently located and arrested. Incident at Wood View, apparently car failed to stop Wingate area, when dumped weapons found inside, hence the Police presence. Three Trimdon locals apparently involved. This is total rubbish his sister doesn’t even live at wingate she lives at peterlee. However I do agree that family are nothing but trouble they need to be moved from trimdon so us decent hard-working residents can live without looking over our shoulders . The police are down here every week at the same houses. Has anyone reported them to home group or council? They need evicting quickly. Complain to the council. On Sat 21 Oct 2017 just before lunch an Irish male about 70 came round the Hardwick Estate Sedgefield offering to jet-wash and seal driveways ,an elderly resident agreed and they were there for about 50 mins and wanted £175,luckily one of his children had been contacted they arrived and challenged them and they did a runner. They said they had washed it and sealed it, no sealant was put on,also it needs to dry to apply it. I became suspicious when van dropped the equipment off then went ,so there may have been others tricked by them. 1 elderly male,very thin with grey hair ,rough looking ,wearing High-Vis jacket and he spoke with a heavy Irish accent. 1 male slim about 5 foot 10 aged mid 20’s to 30. 1 male tubby about 5 foot 6 aged about 16-17. No name or email required!